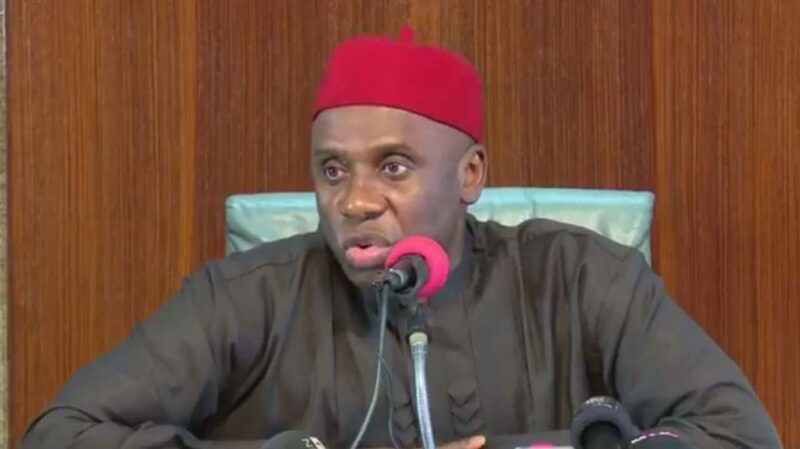 The Minister of Transportation, Rotimi Amaechi, has accused the Governor of Rivers State, Nyesom Wike, of influencing a high court judgment against the All Progressives Congress in the state. Amaechi, who spoke at the River State presidential campaign rally in Port Harcourt on Tuesday, alleged that the governor had betrayed him after being recommended for ministerial appointment during the administration of former President Goodluck Jonathan. According to the minister, the army also attempted to arrest him in 2015, despite having immunity as a sitting governor, adding that he was ready for battle with Wike. He said, “Whatever Wike wants on Saturday, we will give him. Whatever the PDP wants in Rivers State, we are equal to the task. It’s as simple as that. It gets to a stage where a man must be a man. Your Excellency, I’m not going to Abuja anymore. I am here from today till (Election Day). “In 2015, the army tried to arrest me as a sitting governor. You have a governor who is busy lobbying us, trying to negotiate with us, ‘Let us give you presidency, you give me governor.’ He is afraid. We will battle him to the last. On Saturday, they should get ready. According to Amaechi, 80 per cent of those who have made successes in Rivers State politics passed through him. “Wike was my chief of staff. I made him chairman of council. I nominated him as a minister. When he saw Goodluck, he betrayed me. I have been betrayed serially, including senators. After you finish helping them, after praying for them, they go and betray you for a pot of porridge. Saturday is our day,” he said.